Welcome to my reading list for military leaders, specifically ARNG and USAR Officers and NCOs. What I want to do on this page is share a short list of books that will benefit ANY part-time Army leader, regardless of their rank. This list covers a wide variety of subjects to include leadership, military history, communication, conflict resolution, team building and more. Most of the books are non-fiction, but I added a few must read fiction books too. I have to put this book on the top of my reading list, because it is an all-time classic. I truly believe that every Officer and NCO should read this course. It’s geared toward the Officers and NCOs serving at the company level and lower. The thesis of the book is that the small unit leader’s only real purpose is to prepare their troops for war. The book is loaded with great tips on how to do that. If you can only buy one book from this list, this is the one to read. Order a copy! This is a must-read for any aspiring Company Commander or First Sergeant. You will learn how to run a company effectively, what you should be doing, how to spend your time, what objectives you should have, etc. It’s one of the best books I’ve ever read about Company Command, and I’ve read a few. I suggest anyone about to take command, or who will be in the future, read this book ahead of time so you can develop your own game plan. Order a copy! This is a wonderful book. As a military leader, one of our primary missions is to develop our subordinates. This book will teach you how to do that. Learn some simple things you can do to bring out the best in your followers. Order a copy! This is a classic book about a man who worked his way up through the ranks from enlisted man to General Officer, and his rival. Sam Damon works his way up through the ranks via his competence and integrity, while his rival does it through networking. Of all the books I’ve read, this one is the largest (over 1,00o pages) and quit perhaps the best. It covers Damon’s long career, in different wars. This guy is what right looks like. If you were going to model your career off someone else, this is the guy you would copy. Fictional, but captivating jut the same. Order a copy! This is a remarkable series that covers the careers of about 5-10 different Soldiers (enlisted and officer). What I like most about it is that it covers the culture of the Army. Yes, it’s fictional, but the story line is entertaining and educational. I started the first book “The Lieutenants” when I was a newly commissioned officer. I finished the book in no time and read the remainder of the series (about 8 books) within the next few weeks. They are hard to put down. Order a copy! 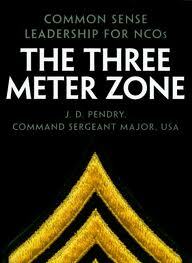 This book is for NCOs and first line leaders. You will learn how to work with different types of Soldiers and develop your own leadership style. Learn how to communicate, resolve issues, and get things done. I think this is the best book on this list to teach you how to be an effective supervisor. Order a copy! I was assigned to read this book during an OPD as a newly commissioned Second Lieutenant. This book is captivating. It is one of the best descriptions of combat that I have ever read. The author writes about his experiences in the Vietnam War as a brand new Platoon Leader. The book is great for officers and NCOs alike. This is another book that’s hard to put down once you start reading. It has an overall five star review on Amazon. Order a copy! My Professor of Military Science tasked me to read this book during my time R.O.T.C. in college. I was reluctant at first, but really enjoyed it. This is book covers the journey of LTC Hal Moore and his famous 1st Battalion, 7th Cavalry during the Vietnam War. Dropped into the Ia Drang Valley to fight the Vietnamese you will read about the horrors of war, the leadership challenges in combat, and what combat is really about. The book was so popular, they turned it into an award winning film with Mel Gibson. A must read. Order a copy! I’m a big fan of General Patton and I truly believe he was one of the greatest military leaders of all time. This book is loaded with great Patton quotes and leadership principles about a variety of subjects. It’s designed to teach military leaders and CEOs how to be BETTER at their job. This is one of the first books I added to my Leader’s Library, and I’m glad I did. You can’t go wrong when you study successful people. Order a copy! You might be wondering why I added a book about “people skills” to this list. Let me tell you why. One big part of having a successful military career is learning how to effectively deal with people and build strategic relationships. In the Army, you need to be good at what you do, but it also helps to have other people in your corner who know you, like your, respect you and trust you. Ultimately, your key to success is probably 20% competence and 80% personality and networking. 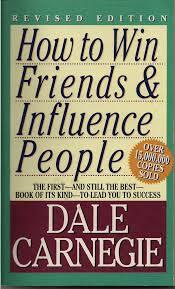 This is hands down the best book in the marketplace on how to improve your people skills. Order a copy! I love The One Minute Manager. This is a parable about how to be a successful manager and leader. It’s a fictional story about a highly effective manager and he shares his three steps to effective management: one minute goals, one minute praise and one minute reprimands. Although this book only takes an hour or two to read, it is money well spent. I re-read this book minimum once a year and always get something new from it. Order a copy! As a leader, one of your jobs is to build effective teams. This book will show you how to do it. You will learn how to build an effective team that has high morale, is well trained and enjoys work. Learn how to get better results from your subordinates just by doing a few simple things. This great book comes in a fictional format, but is a must read. It’s one book that I have in my library and refer to often. Order a copy! I read this book for the first almost ten years ago now. The book covers 21 important leadership principles that every leader should follow. Several examples include The Law of the Lid and the Law of Influence. I’ve personally read about 100+ leadership books and this is hands down my favorite book about leadership. If you’re looking to take your leadership skills to the next level, this is the book for you. It also comes in an audio format. Order a copy! 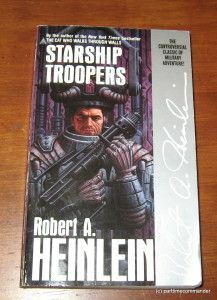 Yes, I put a science fiction book on my recommended reading list for Soldiers. I was assigned to read this book for an OPD session. At first, I was reluctant to read it, but I did as I was told. I should preface by stating that I am NOT a science fiction fan. That being said, I couldn’t put this book down once I started reading it. Although this book portrays Soldiers fighting bugs on another planet, it is loaded with leadership and life principles that will benefit any Soldier. I highly suggest you order a copy and read it today! Order a copy! This is another great book about leadership. Colin Powell is one of my favorite military leaders to study. He was an ultra successful General and politician. I really admire his no-nonsense style of leadership. In this book, you will learn some of his leadership secrets that helped him launch his career. Order a copy! Of all the books on this list, this book had the biggest impact in my life. This is a great book that will help you identify your top five natural strengths. It even comes with a test you can take to figure out what they are. The thesis of the book is that we all have different strengths and abilities. It’s up to use to figure out what those are so we can find the right jobs and careers. I would consider this book a game changer. Read it, study it, and share it with others. Order a copy! This is a book that reveals the results of a scientific study of the most successful managers in the world. The information is a complete game changer. Whether you lead a team of five Soldiers or an organization of ten thousand Soldiers, this is a great book for you to study. Learn how to be a better manager and leader. Learn what the best of the best do. Order a copy! The bottom line is that readers are leaders and leaders are readers. Heck, you already know that. Whether you are an avid reader or hate reading, I think you should read at least 1-2 books every single month to help hone your leadership skills and give yourself a slight edge over your peers who don’t read. If I had to credit something to my success in the military, it is my love of reading. Just about everything I learned about leadership, communication, people skills, etc. I learned through books. And chew on this for a moment. If you read just one book a month over the course of your 20 year Army career, think about how much knowledge and wisdom you would have. That’s 240 books you would read, just by reading one book a month. I know that you would be a better leader and have a more successful career, because of your decision to read, and learn something new every month. What you will see below is my Amazon Store with all the different books, courses and DVDs I recommend for Army leaders in the USAR and ARNG. This is a more comprehensive list to the titles I recommended above. You can also visit Our Online Store for to see what resources we have available.